AWESUM(R) (Airworthy Engineering Systems Unified Modeling) is an end-to -end complete lifecycle toolset which fuses systems and software modeling and simulation (M&S) capabilities, modular open system architectures (MOSA), and device and sensor integration techniques into a single package to enable rapid design, development, verification, certification, and deployment of interoperable, platform portable, embedded mission-critical safety-critical avionic systems. TES-SAVi’s MBSE lifecycle toolset, AWESUM(R), supports system architecture and virtual integration (SAVI) of cyber-physical system (CPS) assets, and evaluation of these platform assets through simulated mission rehearsals in a network-centric collaborative virtual environment. The result is improved systems product. Systems Unified Modeling, is a comprehensive model-based environment aligned to DO-178C, DO-331, AC 20-148, AR 70-62, and FACETM. The AWESUM(R) tool suite is currently supporting the US Army’s Joint Common Architecture project, a model-based avionics architecture for the Joint Multi-Role family of future vertical lift platforms, and two other FACE-aligned US Army Aviation programs within the military communications and aircraft survivability domains. 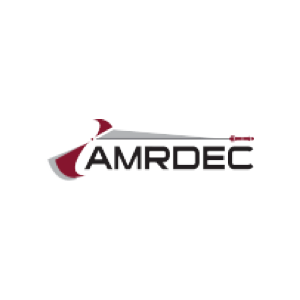 The AWESUM(R) tool suite is expected to be a key-enabler for the Joint Multi-Role Technology Demonstrator (JMR TD) Architecture Implementation Process Demonstration (AIPD) and assist in designing the next-generation of Future Vertical Lift platforms. The AWESUM(R) product line is purposely named and composed of a suite of integrated model-based tools that align with the lifecycle V model and components described by the RTCA’s DO 331 – Model-Based Development and Verification. Unlike other model-based market toolsets, TES-SAVi AWESUM(R) unifies the lifecycle activities. Specifically, Systems and Software Design phase, the leading edge of the V Model, is handled by the DevelopTM module. 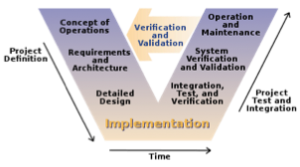 The VerifyTM module handles the Software Implementation phase, the bottom side, and Verification phase, the following edge of the V Model. Additionally, AWESUM(R) model-based tool suite is especially designed to support the lifecycle activities required for most-stringent airworthiness qualification efforts with our SimulateTM and QualifyTM modules. These product modules are further described. DevelopTM is an airworthiness software development environment that accelerates development and ensures traceability of high-level systems requirements through the lower-level requirements of software development phases. Develop imports, models, and automatically structures development projects from target device-level ICDs. System Engineers focus on core development tasks while Develop automatically generates device control code for common and modeled functions. All code in Develop directly reflects design requirements, establishing complete documentation traceability. Develop is used to create and manage the specification and design models (c.f., DO-331) throughout these important requirements and development lifecycle phases, i.e., the Product Definition or leading edge side of the V-model. VerifyTM is a software testing and verification system that accelerates and intensifies robustness testing of cyber-physical systems (CPS). Verify manages the verification lifecycle activities and assists in determining documentation and verification process completion, generates device design tests, executes tests that help ensure system functionality, and manages test results. Verify deepens testing by orders of magnitude compared to other industry tools with robustness testing, while dramatically reducing testing time with automating verification activities. By maintaining bi-directional tracing links between requirements, modeled capabilities, and software code, Verify enables full bi-directional traceability and enables changes to the requirements documentation to generate code changes on the fly. As such, models or code artifacts are no longer “throw-away”, but represent the current state of your product line. SimulateTM brings systems level inputs into the AWESUM tool chain, by adding a high fidelity virtual environment with outside stimulation from physical or simulated hardware. Simulate enables virtual operation of aircraft devices and platforms within their concept of operations, with real-time feedback through military line replace unit (LRU) equipment e.g., military communications. By basing all modeled factors on the target interfaces (i.e., ICD) and a platform concept of operations, Simulate validates and verifies intended operations of cyber-physical systems before expensive, real-world flight-testing occurs. While wide experience with the use of simulation products used for obtaining certification under DO-178C/DO-331, remains unclear, it is believed that the acceptance of the use of model-derived simulation results for specifications and design acceptance will be a function of the fidelity of the models(s) (e.g., the system, its operating host/target operating system, flight models, and environment). SimulateTM brings these components together to represent an as-built system and model, and simulates operational characteristics of platforms, devices and their interactions with an environment. This area of study, SAVI – Systems Architecture Virtual Integration (see our AHS papers), remains to become an exciting development in systems engineering, as the objectives of SAVI become a reality. QualifyTM is an integrated system for producing and managing airworthiness lifecycle documentation (CDRLs and DIDs) required to satisfy all DO-178C applicant objectives. QualifyTM automatically generates and allows for artifact engineering [TES Patent pending] of the software aspects of airborne system documentation required for airworthiness qualifications efforts applicable to airworthiness regulations, AR 70-62, AC 20-115C, DO-178C/DO-331, DO-278A, and the reuse guidelines of AC 20-148. In addition QualifyTM is designed to the produce the lifecycle documentation required for FACETM conformance and verification efforts. Please fill in the form below to request information. Our team will contact you shortly to address any specific questions you might have.